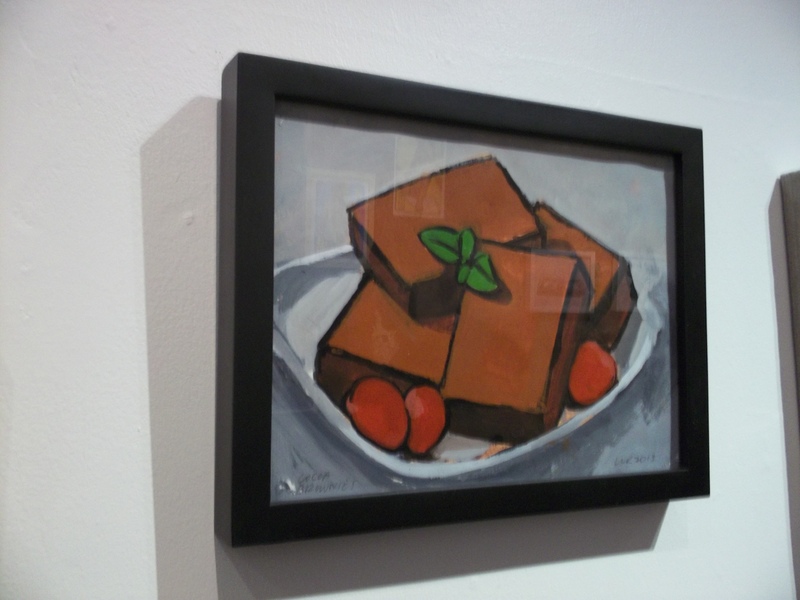 Dorian Grey Gallery in the East Village hosted an informal brunch today to promote its current exhibit, Indulgences, works on paper and recent paintings by New York artist Walter Robinson. 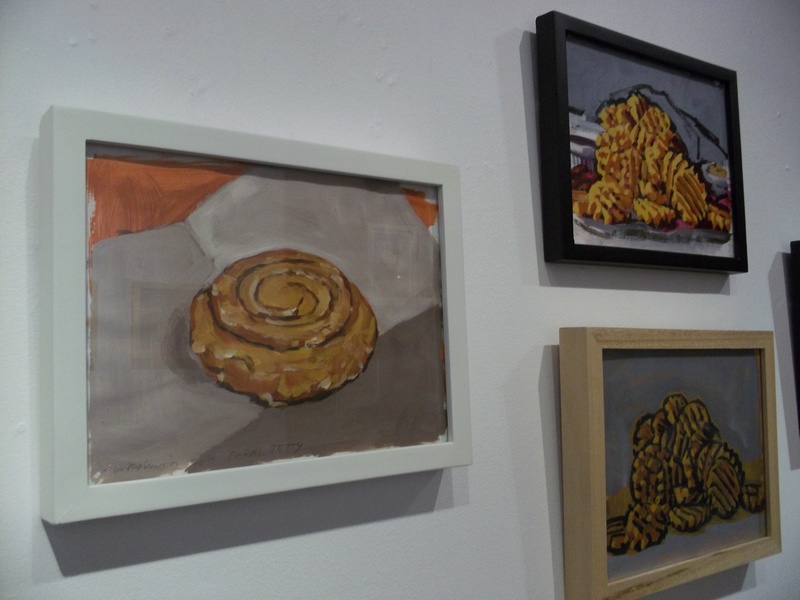 As you might infer from the show’s title, Indulgences includes paintings of sweets and fast food favorites, pharmaceuticals and alcohol. The show also includes a selection of celebrity portraits, nudes and romance novel covers, but I didn’t feel compelled to shoot pictures of any of that stuff, so, you know, just go to the gallery and check it out. Someone standing next to me in the gallery asked me if they even make True Cigarettes anymore. I said I have no idea, because I don’t smoke. 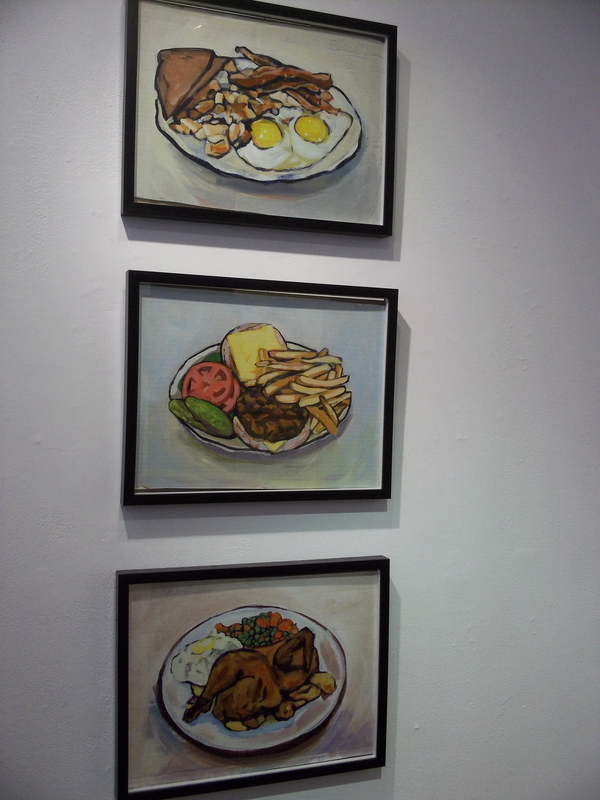 I like this triptych of Diner food favorites, especially the Cheeseburger Deluxe. Mmm… Cheeseburger. 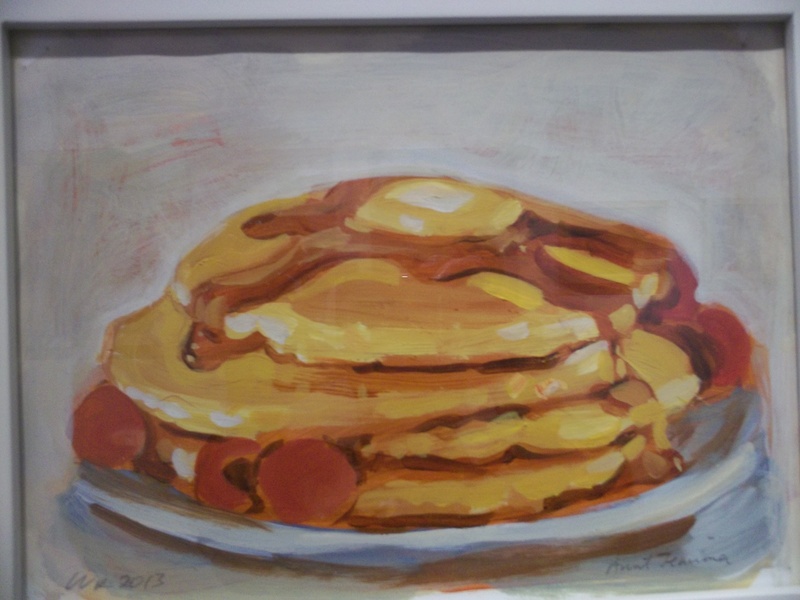 Looking at this painting of a Stack of Pancakes made me very hungry. 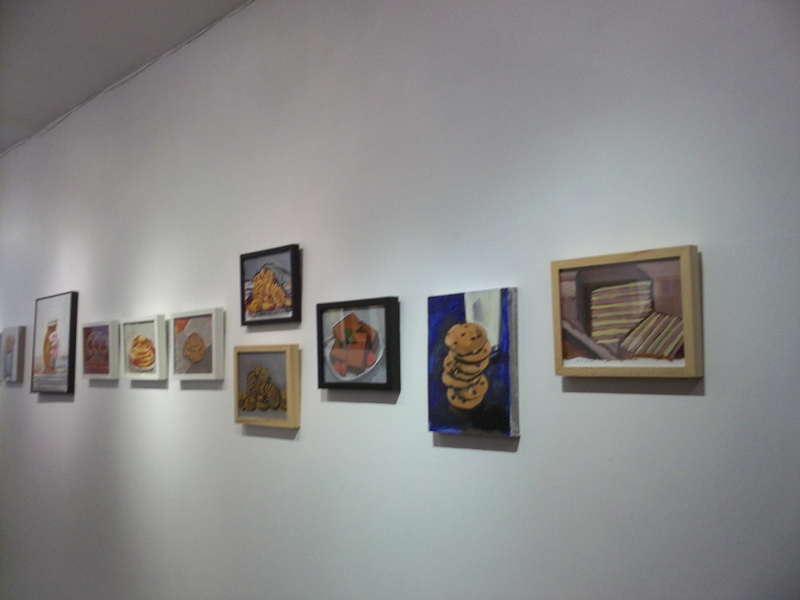 Who knew you could work up such an appetite just from looking at Art? 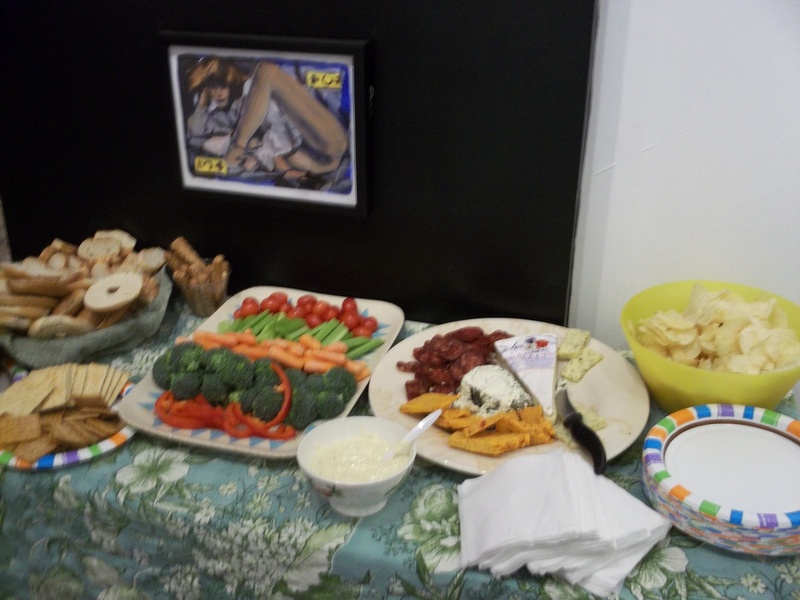 Fortunately, Dorian Grey Gallery provided some snacks and beverages. 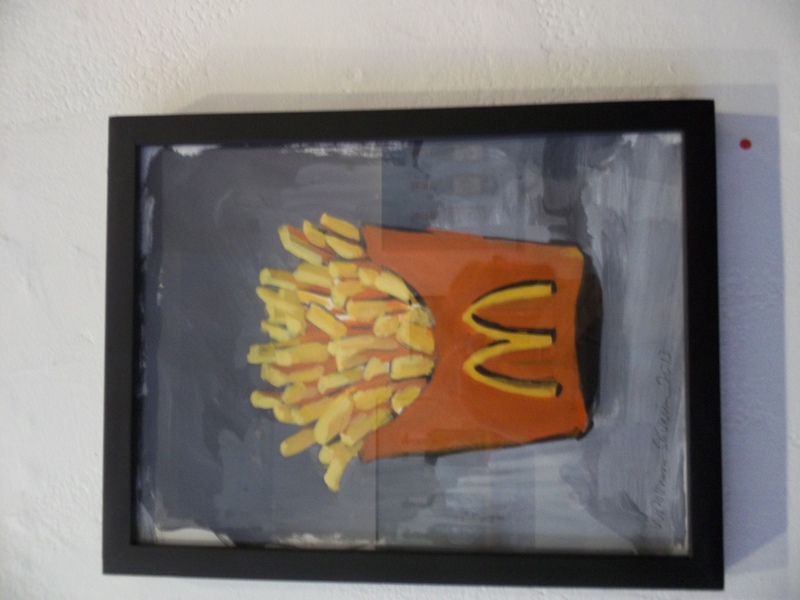 McDonalds Large Size French Fries are indeed a masterpiece. 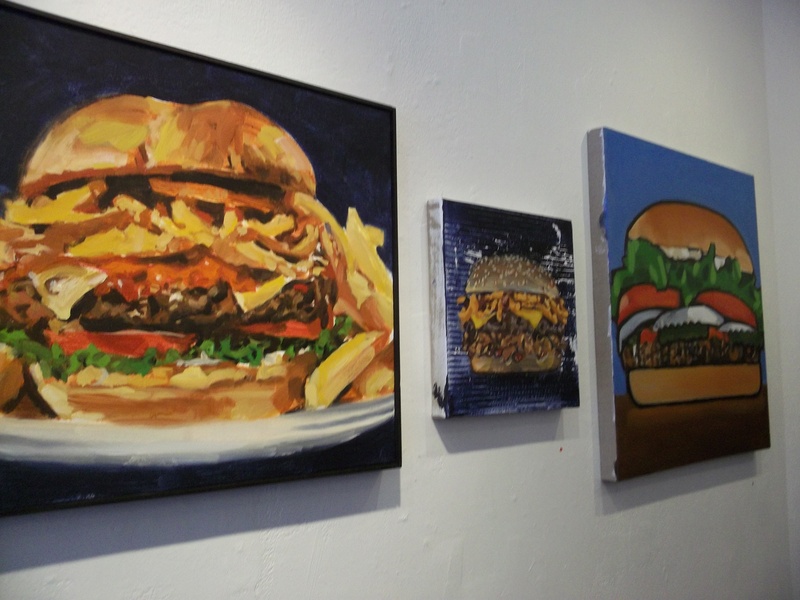 A trio of Hamburgers. I believe the one on the far right is a Whopper. My mouth is watering just uploading my photos to this post. 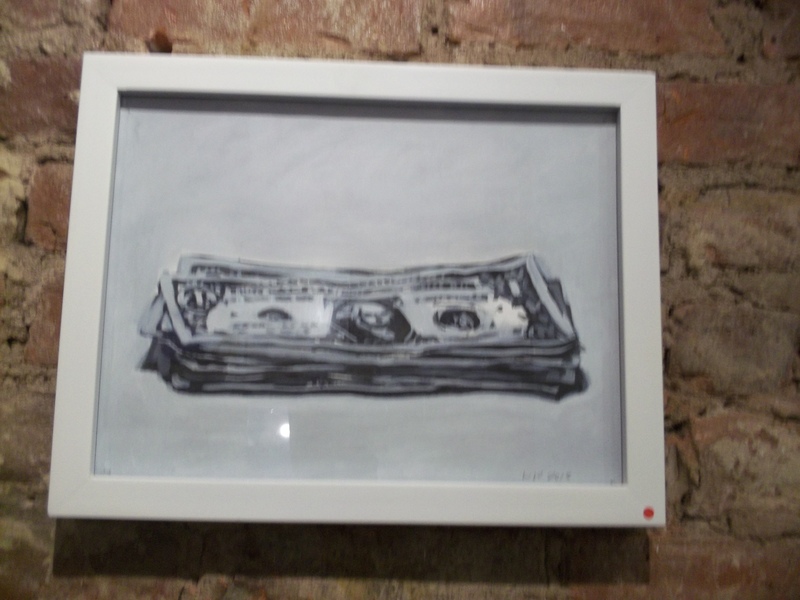 This art made me think: I wonder how much money is in this stack of cash, and are all the bills ones, or just the top bill. Art! 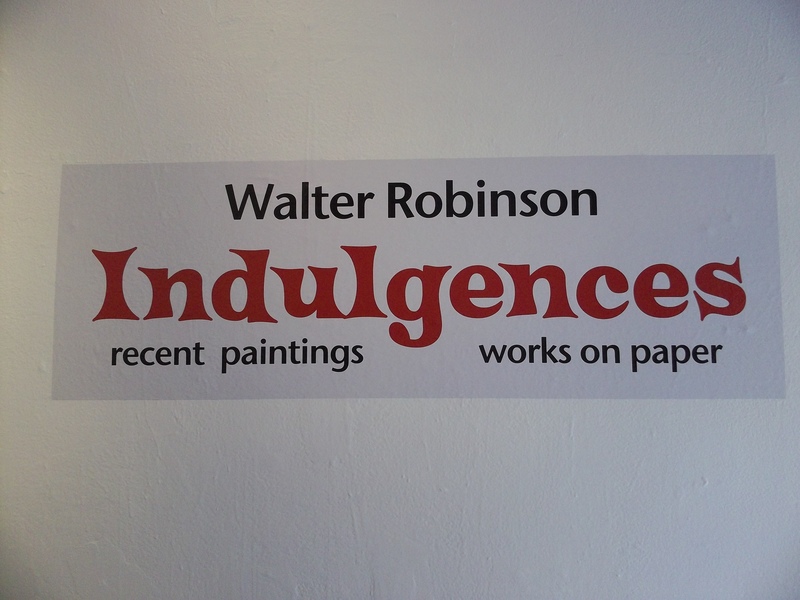 Indulgences will be on Exhibit Through March 31st, 2013 at Dorian Grey Gallery, Located at 437 East Ninth Street (Just West of Avenue A) in NYC. 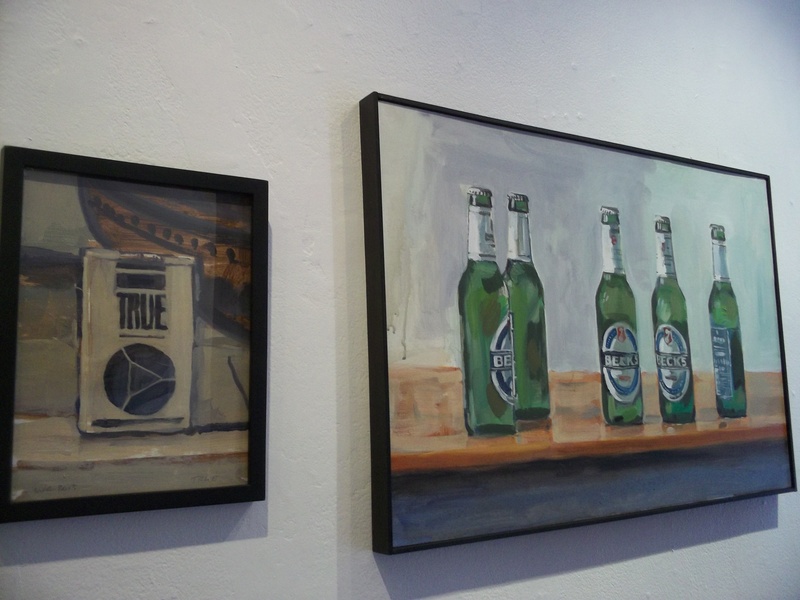 Gallery Hours are Tuesday – Sunday, Noon to 7:00 PM.